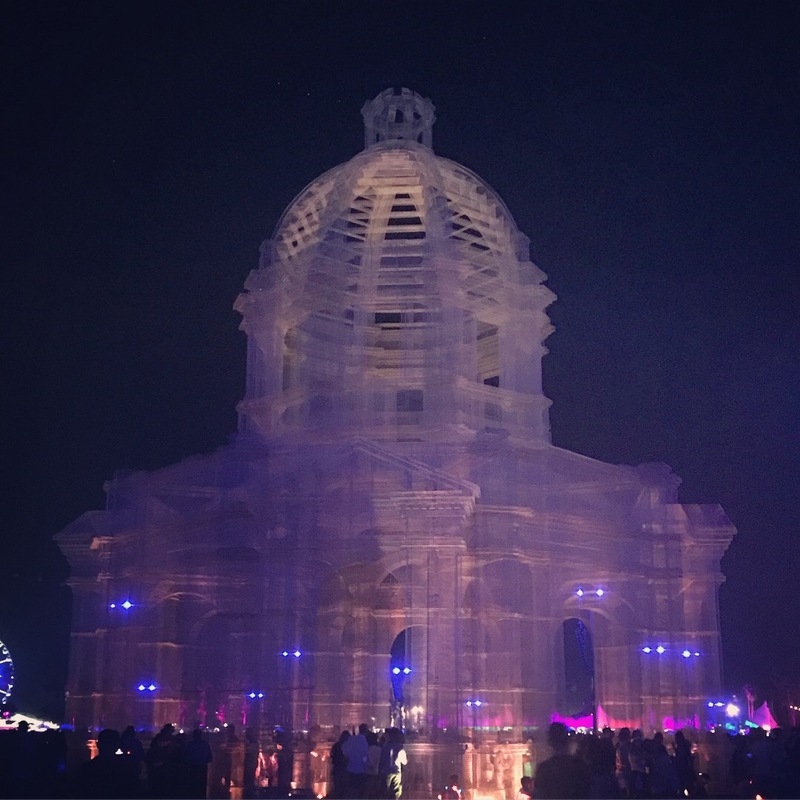 Italian sculptor Edoardo Tresoldi’s wire-mesh cathedrals were a visual surprise at Coachella this year. 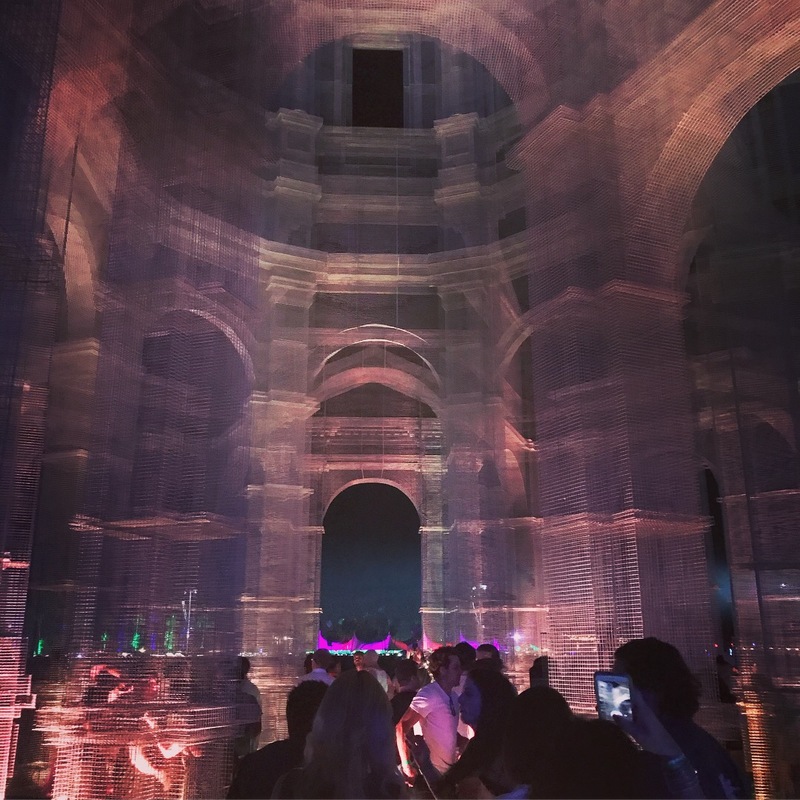 Festival attendees mingle in front of Edoardo Tresoldi’s wire mesh cathedrals at Coachella. Photos by Gary Scott. Large-scale art projects have become an essential part of the visual landscape at big music festivals like the Coachella Valley Music and Arts Festival in Indio, which started last weekend and continues next weekend. 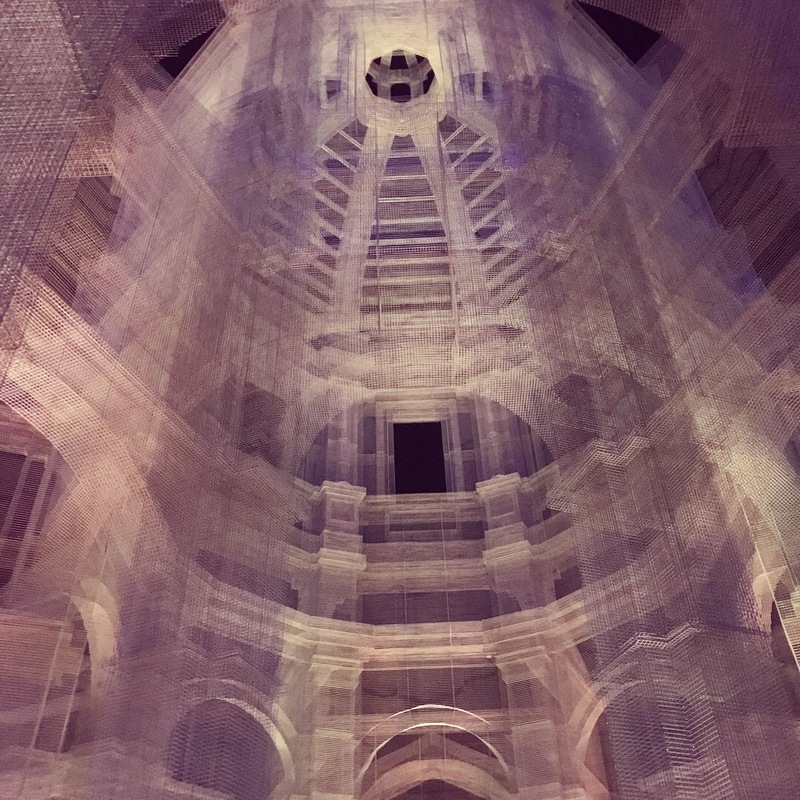 Tresoldi is known for his large transparent wire mesh sculptures, and has collaborated with music festivals before. He was named by Forbes as one of the 30 most influential European artists. But this new installation is Tresoldi’s largest to date. It’s also the largest installation of the festival. The three neoclassical and baroque-inspired structures are identical in design but differ in size, measuring 36, 54, and 72 feet in height. The sculptures seem to take on different tonalities as the California desert light filters through them at different angles throughout the day. 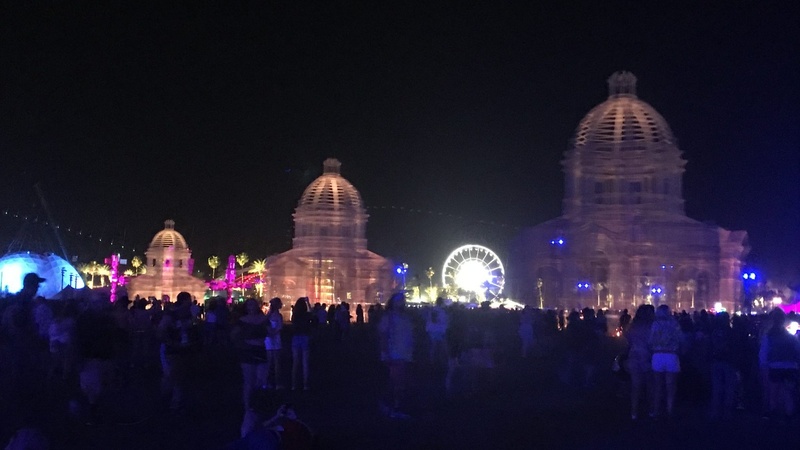 Their ephemerality also mirror Coachella’s transient nature. How was “Etherea” constructed? On site or in advance? What was it like installing it there? Edoardo Tresoldi: “Etherea” required a 5-month work of planning and development between Milan, where my studio is based, and Indio. High temperatures and stressful rhythms actually made its construction very stimulating! Its realization has been possible thanks to the great work of my team, which I formed over the years. They are now masters at my handcrafted technique. 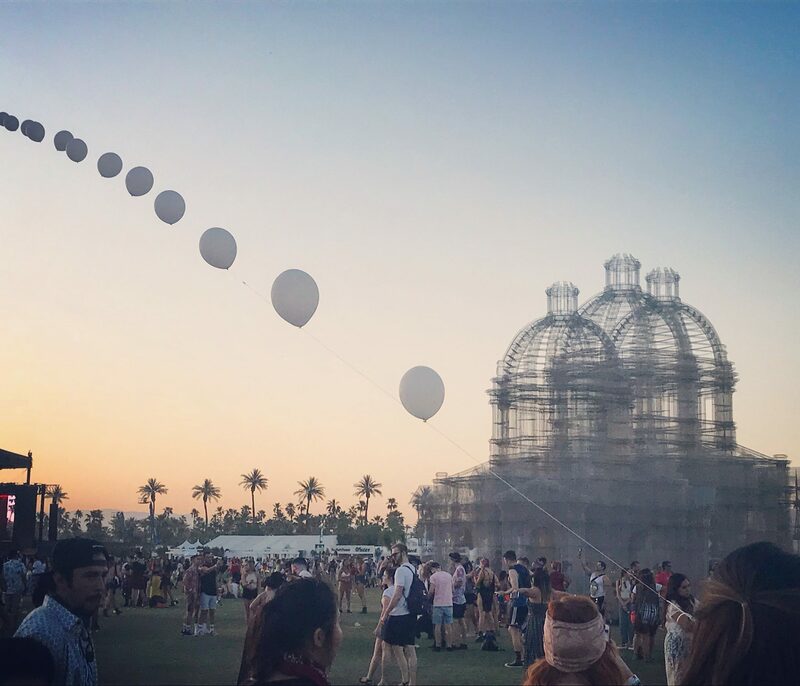 Why is Coachella an ideal site for this installation? Because Coachella is a huge temporary city and the perfect place, for me, where to continue developing my “poetics” that are focused on the ephemeral. Also, the installation is fully conceived for a continuous interaction with the visitors, bringing them in a dream-like and immersive experience. How did you develop your style? Do you have any architectural training? I worked in Rome as set designer for movies, music and TV for seven years. Often the set design skeletons were made of wire mesh. I was really fascinated by its poetic potential and its capability to depict the absence of things, their immaterial side. Little by little I started to experiment with the medium and its relationship with space. First I started with figurative sculptures, then I turned to architectural structures. What are your architectural inspirations? I have a lot of inspirations, both contemporary and classical. As an Italian, I’m deeply influenced by the the masters of the past, such as Bernini, Borromini and Palladio. What was it like to see festival-goers interact with your work? It has been a great pleasure and a joy to see how they enjoyed spontaneously Etherea’s experiential path and the change of scale of the architectures!